Proprietary Name: Good Neighbor Pharmacy Loperamide Hydrochloride What is the Proprietary Name? 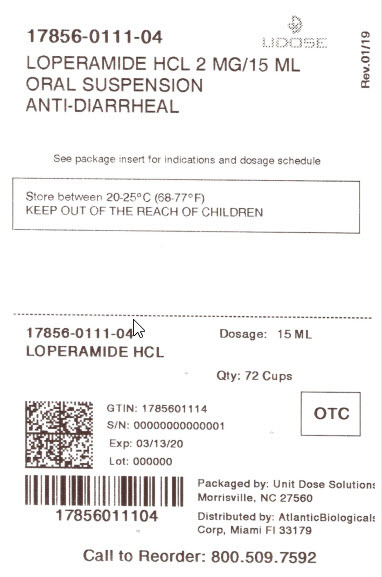 Non-Proprietary Name: Loperamide Hcl What is the Non-Proprietary Name? 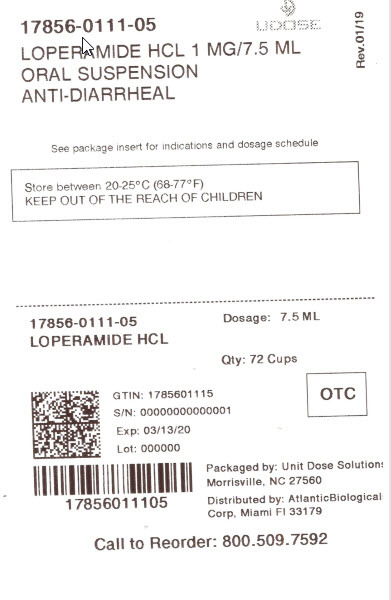 17856 - Atlantic Biologicals Corp.
Good Neighbor Pharmacy Loperamide Hydrochloride with NDC 17856-0111 is a a human over the counter drug product labeled by Atlantic Biologicals Corp.. The generic name of Good Neighbor Pharmacy Loperamide Hydrochloride is loperamide hcl. The product's dosage form is suspension and is administered via oral form. Labeler Name: Atlantic Biologicals Corp.
FDA Application Number: ANDA091292 What is the FDA Application Number? •tiredness, drowsiness or dizziness may occur. Be careful when driving or operating machinery. •symptoms get worse •diarrhea lasts for more than 2 days •you get abdominal swelling or bulging. These may be signs of a serious condition.